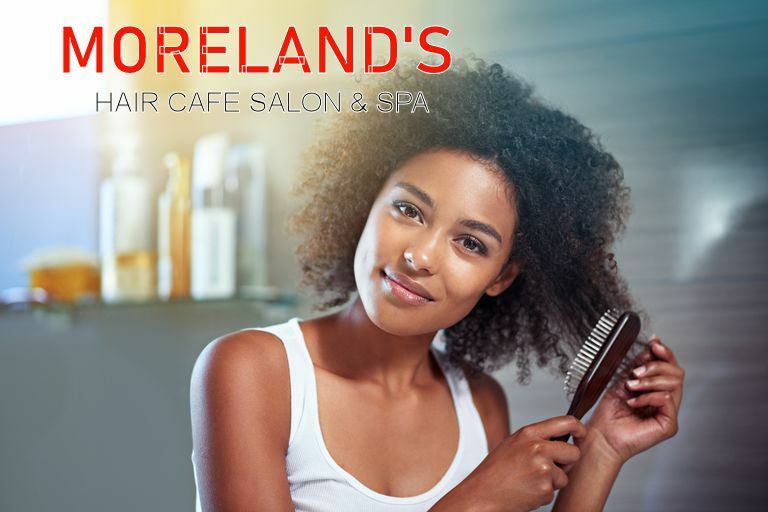 Welcome to MORELAND'S HAIR CAFE SALON & SPA an extraordinary new level of luxurious state of the art full service salon and spa. Step into our beautifully decorated, tranquil environment. It would be our greatest pleasure to take you on a journey of unsurpassed rejuvenation and relaxation. Our goal is to welcome you to become a part of our ever growing family and to offer the highest level of service not found anywhere else. Our highly trained team of professionals is the most qualified in the industry. Our service providers deliver a unified vision tailored to each individual guest. We are constantly striving to better our skills with advance training and education, so we can bring you the most contemporary and complete services and products to you. 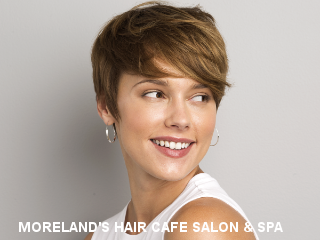 MORELAND'S HAIR CAFE SALON & SPA will exceed your expectation. We are dedicated to providing each of our guests with a gratifying experience every time they visit. You deserve it. Consider a brief pedicure and manicure or a full massage, body wrap and facial. Our expert staff is here to pamper.